Award-winning Lao American writer Saymoukda Duangphouxay Vongsay was recently appointed to the board of directors for Intermedia Arts and also as a member of the board of the Asian Pacific Endowment Fund of the St. Paul Foundation/MN Philanthropy Partners. A pioneer in creative community leadership and engagement, Intermedia Arts has been providing artists and audiences with the tools, support, respect and freedom to make positive social change through art, dialogue and civic engagement since 1973. 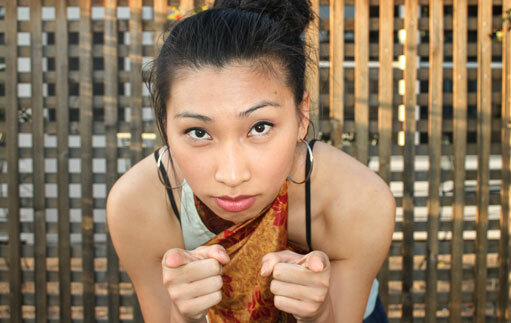 Vongsay was selected as a 2011 Changemaker by Intermedia Arts in Minnesota for her work in the community. She has organized many projects at Intermedia Arts, including the Legacies of War: Refugee Nation Twin Cities multimedia exhibit and performance series in 2010 that drew almost 1,000 participants. It was the first time many of the Lao had ever been to Intermedia Arts. A Saint Paul resident, Vongsay’s credits as an author include the poetry chapbook, No Regrets, from Baby Rabbit Publishing. Her award-winning poem, “When Everything Was Everything,” will be taught by language arts educators in the Saint Paul Public Schools’ curriculum, made possible through a partnership between The Saint Almanac and SPPS. She was recognized in 2010 by the Lao American Professionals of Elgin, Illinois for her art. “I’m particularly proud of my service as a co-chair of the first National Lao American Writers Summit,” Vongsay said. “It showed the importance of celebrating Lao women artists across the country.” The Summit was supported by funds from the Asian Pacific Endowment. Vongsay performs and teaches creative writing workshops nationally and internationally including Italy and Japan. She was the inaugural winner of the Alfred C. Carey Prize in Spoken Word Poetry. Her most recent residency was at Warroad High School as part of the Smithsonian Institution’s New Harmonies Program. Among Vongsay’s significant projects was with the Anchorage Urban League of Young Professionals as a lecturer and performer to urge civic engagement on public policy. Vongsay has a full plate ahead in the coming year. In addition to her duties on the boards of Intermedia Arts and the Asian Pacific Endowment, she is currently collecting Lao American stories state-wide for the Minnesota Historical Society’s Oral History Project. Additionally, as a Jerome Foundation/Mu Performing Arts New Eyes Theater Fellow, her play, Kung Fu Zombies vs Cannibals is in the second phase of development with a chance of becoming Theater Mu’s main production for its next season. Photo by B Fresh Photography courtesy of Intermedia Arts.